Selling one of your biggest investments should be done with care and experience. Your luxury home should be listed with a company who understands the luxury market here in Southern California. It is a different real estate attitude and a different real estate demand when it comes to selling luxury homes. Whether you’re looking to sell your Malibu beachfront home, a quiet oasis in Calabasas or a trendy condo in the heart of Los Angeles, let our team show you the benefits of listing with an experienced team of professionals who know the market. As experienced real estate agents in southern California, we know the best price ranges for your home, how to qualify buyers and what we need to do to protect your property and your life. We treat each home sale as if it were our own home and do our best to only present to serious buyers. This cuts down on the hassles of having your home listed on the real estate market. Some luxury home sellers prefer to have a private listing that is only available to the real estate agents’ networks. While this can limit the potential buyers, it doesn’t make it impossible to sell. As a seller, we take your privacy and desires to heart and make sure you are comfortable with the process from start to finish. We won’t overprice or underprice your house. We want to get you the most money for your property in keeping with what’s realistic. When you list with the Harrison Luxury Real Estate Group, you are listing your home with a group of experienced agents who will work tirelessly to sell your home. Each luxury home client is unique due to the nature of their property, and we know each one has different needs, different comfort levels and different goals. Before we list your house, we want to know more about you so we can customize a listing that is designed with you in mind. Our focus doesn’t shift when we get new homes to sell – it simply expands. Your sale is always our top priority. Our clients are what make our business so successful, so we treasure the time we spend with our clients making the sale of their home easy and stress-free. Listing a non-luxury home for sale presents much less of a monetary risk. Luxury homes contain high-end décor, private lives and demand discretion from the real estate agents. We know how to work with luxury and high-end clients from our years of experience. This gives us a competitive edge with luxury buyers as well. We speak their language and every involved party is given the attention and personalized treatment they deserve. With knowledge of the type of buyers in the luxury market, we are better able to work with both you as the seller and the buyer to make the transaction successful on both ends. 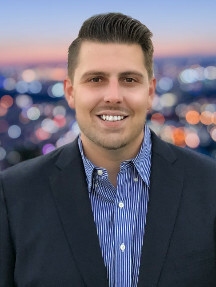 Brett Harrison is a leading agent for the Remax/Olson and Associates realty team. 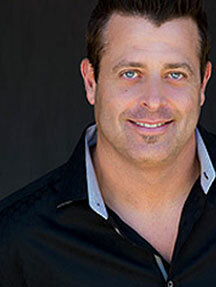 He focuses his real estate efforts in the luxury market of Southern California. A transplant from the East Coast, this Big City sales associate comes from some of the top markets available to clients on the eastern seaboard.